South Africa and I go way back. I’ve travelled out there numerous times, I’ve been good friends with people from the country and I listen to music emanating out of that country… you could say we’re good buddies. Or “brews”, if you want to pronounce “bros” in the local tongue. You see, I’ve always had a bit of a thing for that Afrikaaner accent… I can’t escape it. It’s a bizarre hybrid of Dutch and Australian to my ears, and I love it. But South Africans in movies? Well… they’re not common place are they? Ok, aside from Charlize Theron, but her accent disappeared long ago. No, the movie that really drew attention to South Africa in modern years that wasn’t about Nelson Mandela or diamonds was the sci-fi romp called District 9. The Phage actually watched this movie at the cinema whilst in Johannesburg… now that’s dedication to the silver screen, right? What’s more, we bloody loved it too. It introduced us to the winning combination of director Neil Blomkamp and actor Sharlto Copley. So when we heard that a new movie was due, featuring these two… well, we got all excited. That movie is Elysium. 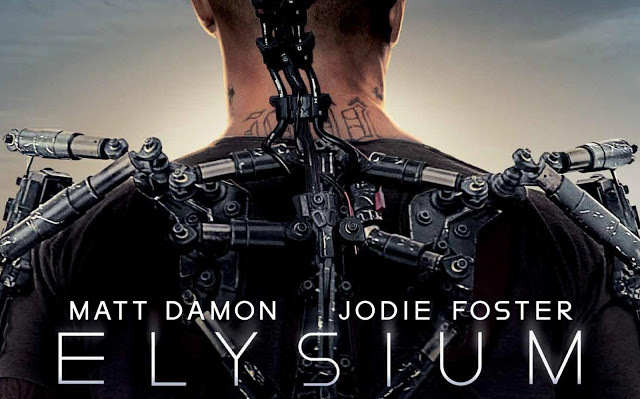 But back on track, Elysium does not focus on South Africa, although several characters are from there! No, Elysium focuses on the slummed out Los Angeles of 2154. Earth’s an overcrowded, underfunded, disease-ridden wreck. 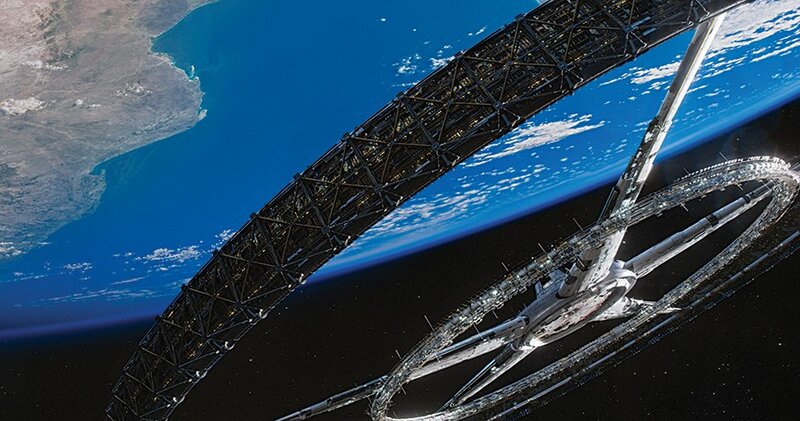 All of the wealthy folks have fled the planet to live on an orbiting space station known as Elysium. A place where no-one gets sick, and apparently no-one dies! But getting there? Pretty hard! Either you have a lot of money or you hop on an illegal shuttle and hope that Jodie Foster‘s Secretary Delacourt doesn’t have you shot down. But when Max (Matt Damon) has a terminal accident on Earth, he tries to get up to Elysium to be healed by undertaking a kidnap job that lands him in a plot that’s far greater than he initially imagined… bringing about the hungry wrath of sleeper agent Kruger (Sharlto Copley) in the process. You see, the problem is that her character felt forced and fake. Delacourt is a power hungry woman with a detestation for all of Earth’s humankind. But why? What’s the cause of this malice? Why is she power hungry? None of this is answered. She’s just a cookie-cutter “bad guy” with no back story. A good villain always has a back story… this one lacked it and also lacked much in the way of character overall. 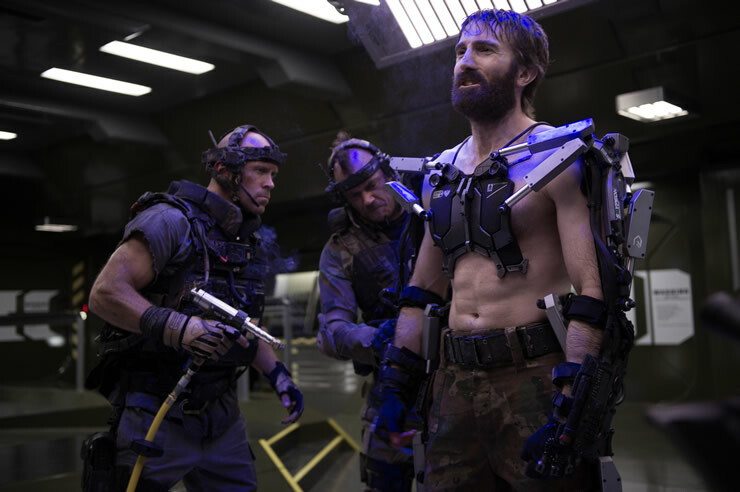 Thankfully, the “bad guy” mantle is ably picked up by Sharlto Copley as Kruger – brandishing that fabulous broad South African accent to boot. I’m a big supporter of Copley (even in The A-Team) and this again reaffirms my belief he should be cast more often. Maybe even by people other than Neil Blomkamp! Mention of course also has to go to Matt Damon – an actor that’s always reliable nowadays. Elysium is no different in that respect. Sure, it won’t win him any plaudits, but it’s a solid performance from Damon. So what of my old friend, the plot? It worked. It has its twists and turns to add depth and intrigue, but nothing out-and-out shocking. That’s not necessarily a huge slur against the movie in itself, but it would have been nice to be caught off-guard a little more often. I think the film was helped along somewhat by the stunning visual effects – Blomkamp really shines with the way he shows his vision to the audience. Much like District 9, Elysium is gritty, grimey and shot in a way that really eschews the huge bombastic Hollywood-esque shots. Indeed, Elysium is easily the biggest and best “armageddon” style film of the summer – surpassing Oblivion and After Earth effortlessly. Elysium again demonstrates why Neil Blomkamp should be seen as one of the true great sci-fi writers and directors of the 21st Century. In The Phage‘s eyes, he’s yet to make a misstep. It will come, we’ve no doubts about that, but for now we’re really stoked on seeing Chappie when it lands in a year or two’s time at the cinemas. 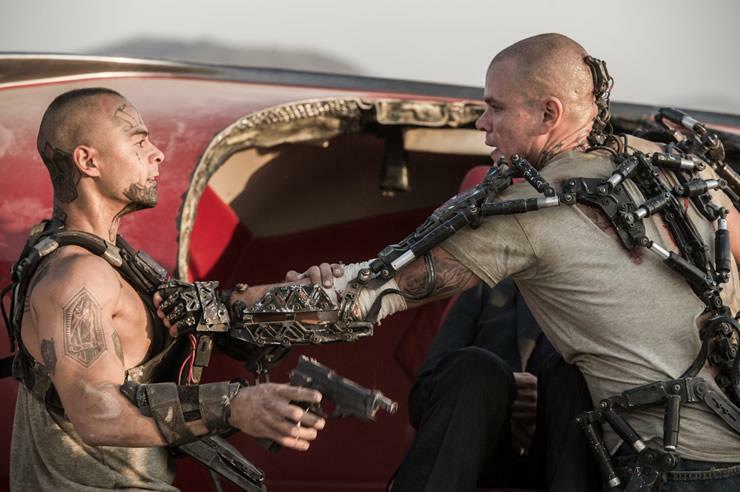 Elysium is a gripping slice of sci-fi action, with solid performances from Damon and Copley. It’s just a shame it’s let down quite hard by lacklustre characterisation of Foster‘s Delacourt. But this can be overlooked… and should be, as it definitely merits a viewing. This entry was posted in Review and tagged 2154, Afrikaans, Chappie, Dev Patel, Die Antwoord, District 9, Elysium, Jodie Foster, LA, Matt Damon, Neil Blomkamp, sci fi, Sharlto Copley, South Africa, space, space station. Bookmark the permalink. I did not know the Phage was such a Saffafile. I am myself A born and bred member of the Afrikaner nation, bru! 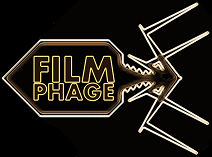 Haha – one of our secrets here at Film Phage – finally released for all and sundry to read. Yeah, big fan of SA and all it has to offer – from food to music. With the latter, I’ll quite happily listen to some Die Antwoord or Locnville. We’ll just forget about Seether for now… And I also recall seeing about your new passport on your blog! Always good to have Suid-Afrikaanse readers – you’re in good company here! Don’t get me started on bloody Seether. Lol! I lived in South Africa until I was 23 and then I moved over here 9 years ago. It’s a great place though. I still love going there on holiday. Great review. Not a perfect piece of sci-fi, but still a credible one that’s fun and quick when it needs to be. Exactly! You could get swallowed up by comparing it heavily to District 9, but it was solid and did what I expected it to do! I’d have actually preferred more robot police scenes. Or the weird parole officer machine! Glad you enjoyed the film dude – of all the films I was really anticipating in 2013, it’s been one that’s hit my expectations, where so many have failed. All eyes on the new Thor now… that’s my “last” big film of 2013. But I like to be surprised! Although no District 9 as you say I had a great time watching it. Sharlto Copley really stood out and it was clear he was having a lot of fun in his role. Nice review!